The $1,000 iPhone X has the best tech Apple could put in a phone. It let the company remove Touch ID and replace it with a 3D sensor that shoots out thousands of little infrared dots so you can unlock your phone with your face. 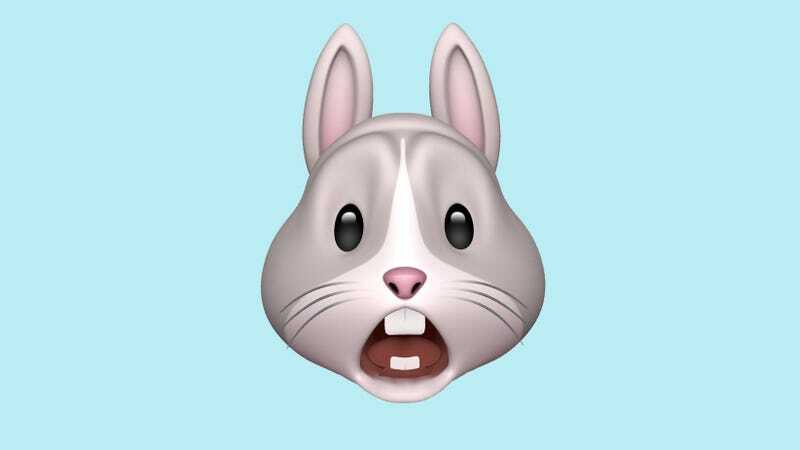 It’s also the tech behind Apple’s Animoji, the iMessage app that lets you make and share cute animated faces—or so we thought. The iPhone X uses the TrueDepth camera for Animoji, but after some testing with two of our own iPhone X’s, it seems Animoji doesn’t actually require the infrared lasers to work. You can even cover up a portion of the TrueDepth modules with your finger or a piece of tape without infringing on the iPhone X’s ability to generate cartoon floating heads. According to iMore, Animoji makes use of the IR camera periodically. That doesn’t necessarily mean that some form of Animoji couldn’t work on an iPhone that lacked the module. So, if the Animoji app mostly just relies of a front-facing RGB camera and a bit of software, why is this feature restricted solely to the iPhone X? Aside from their screens and the TrueDepth camera system, the iPhone 8 and 8 Plus have the same basic hardware and OS as the iPhone X. Correction: The original version of this post stated that Animoji doesn’t use the TrueDepth camera to work. What we meant to say was that it might not need the 3D sensing-capabilities of the TrueDepth camera. We regret the error.